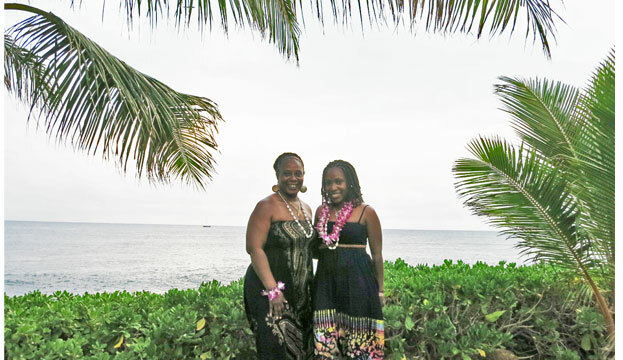 I have an #Amazing mama who surprised me this year with a Birthday trip to Honolulu, Hawaii. An unforgettable experience in which we embarked on 4 days and 3 nights of beaches, road trips, scuba diving, shopping and tons of eating! We stayed at the New Otani Kaimana Beach Hotel in Honolulu. 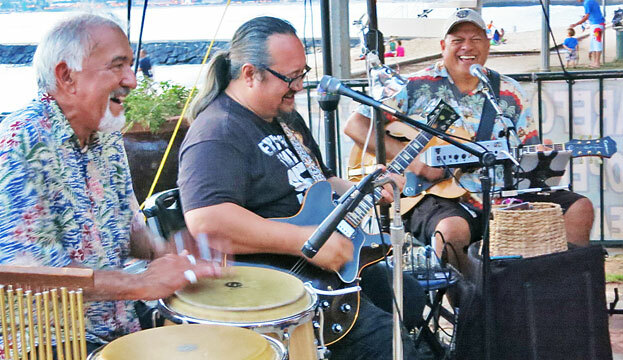 We were slightly out of the hustle and bustle of Waikiki (major tourist area), but close enough to still have things to do. On the front of our hotel was Kapiolani Park (great for jogging, which worked since I was in my heavy workout stage) and on the back of the hotel was the beach. Given my mom and I are both explorers at heart, we decided to get the touristy stuff out of the way first. 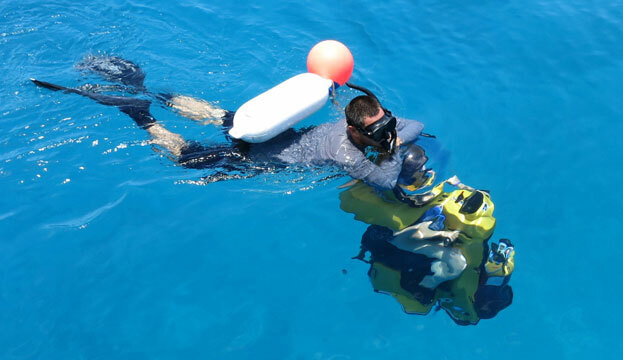 So on day 1, we purchased tickets from Island Watersports to do the submarine scooters that allowed us to explore underwater sea life on self-propelled, electric scooters. While the scooter experience itself was unique, the team who operates the business affairs were horrible. Sam, the “President” of the company was was inconsiderate and inexperienced in customer service. I won’t bore you with the details but let’s just say, letters were written. Later that evening, we set out to find the perfect place for my birthday dinner. 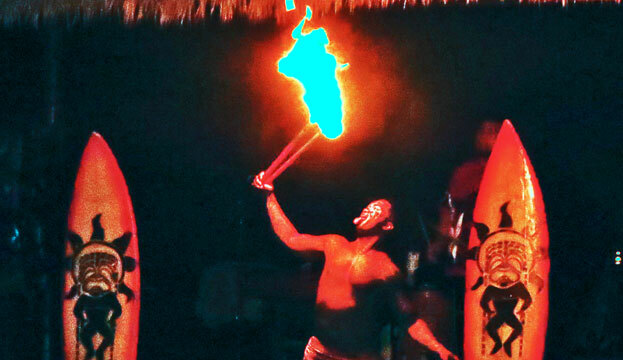 Since we were staying in the area, we walked a few blocks down to The Barefoot Beach Cafe where we found a live Hawaiian band (who sang Happy Birthday to me), an all you can eat buffet with freshly prepared steak, fish or ribs and my very own firework show (maybe it was already happening but… go with it). The next day, mom and I decided we needed to have our own wheels. 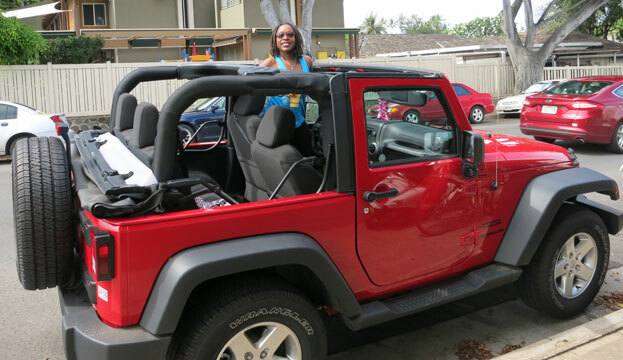 So we rented a hot red jeep wrangler to tour the island ourselves. Having a car on the island is more efficient than trying to taxi everywhere unless you plan on staying near your hotel. 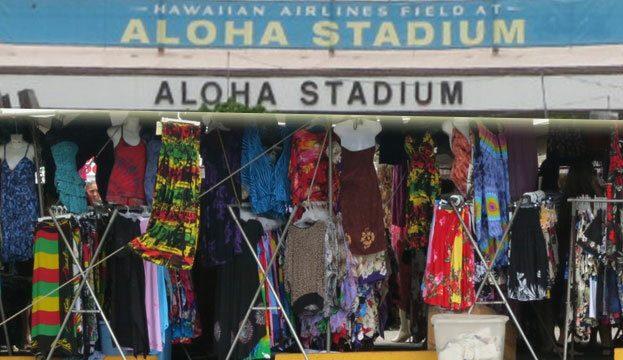 With our new wheels, we headed to Aloha Stadium where we found this massive flea market and bought tons of stuff for our friends, family and selves. Then it was time for our road trip! 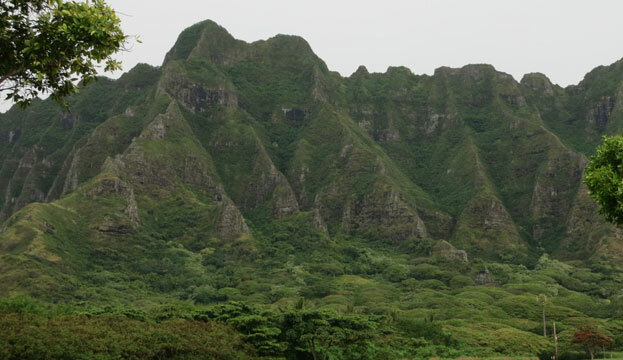 We began with a drive to the North Shore. 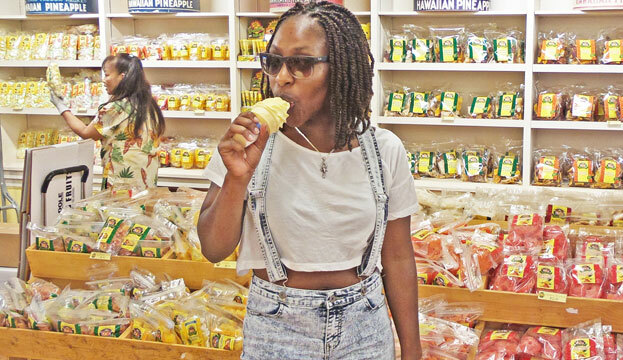 On the way, we stopped and had pineapple ice cream at the Dole Factory. 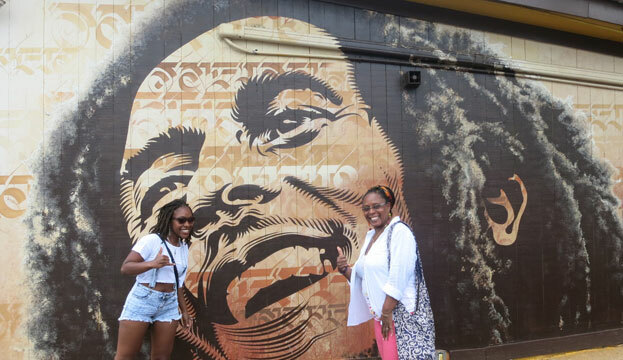 Then stopped at the Ahupua’a Pa’ala’a bridge in Haleʻiwa, a small surfer town with an awesome portrait of Bob Marley, great little restaurants and shops. 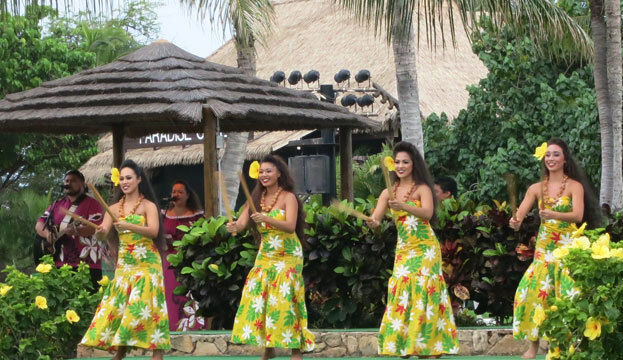 That evening, we headed to my first official Lu’au at Paradise Cove. 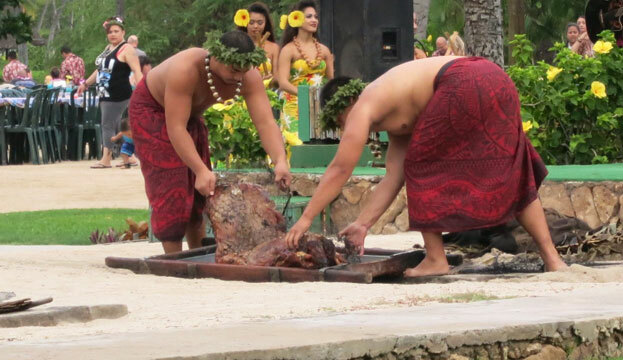 We made leis, had Hawaiian food and cocktails and enjoyed a traditional pig roasting, dance and fire show. Sadly, the food wasn’t that great (think it’s cause they prepare buffet style for hundreds of people). But the show and overall experience was fun! 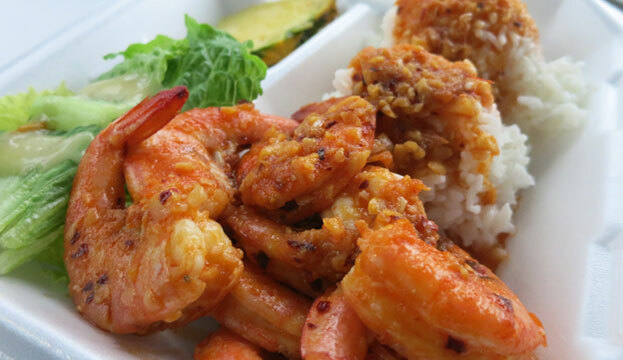 The next day, we continued our road trip to the South Shore, which was cut short by a tropical storm (island life) but not before we stopped for ginger and garlic shrimp plates at Fumi’s Shrimp Farm. 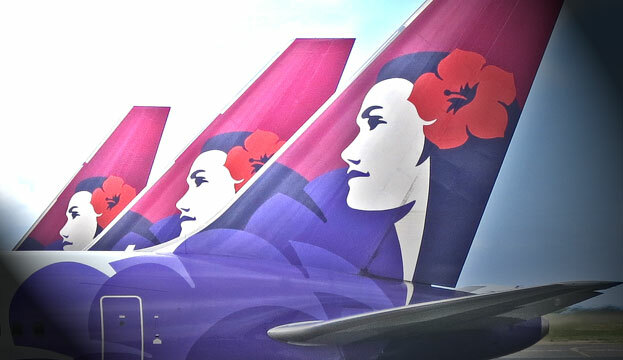 Hawaii was everything I expected. 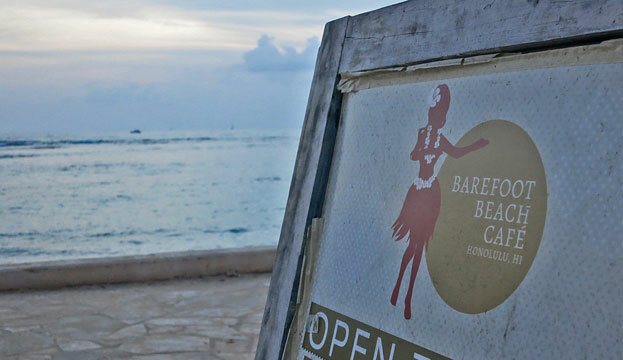 Beautiful island with friendly people, good food and a great time!